“Will CBD vape oil get you high?” is addressed with hopeful excitement by some, but with concern by others. Let’s be honest; this is the question we’re all curious about when getting acquainted with cannabidiol (CBD hemp oil). “Will CBD vape oil get you high?” is addressed with hopeful excitement by some, but with concern by others. Considering that it comes from the cannabis plant, a CBD high should be the norm, right? Wrong. Well, at least most of the time, depending if there’s a THC and CBD ratio or not. We’ll explain everything and get the facts straight once and for all below. How Will I Feel After Taking CBD Oil? Before we expand on how pure CBD oil won’t get you high, let’s start from scratch. What is CBD oil in the first place? For the sake of simplifying and making sure we’re all on the same page, CBD is short for cannabidiol, an active compound found in plants from the Cannabis Sativa species (cannabis or hemp). Due to the lack of CBD’s binding when interacting with CB1 (our cannabinoid receptor, which includes our brains and central nervous systems), there won’t be any CBD oil high taking place. However, if there’s any type of THC CBD blend at hand, the THC content may spark the high associated with recreational marijuana. You see, THC binds extremely well with CB1, causing the stimulation that results in a high sensation. We wanted to mention this detail because numerous CBD products also contain traces of THC. If yours is pure CBD, you should experience no psychoactive CBD oil effects whatsoever. But it’s impossible for no CBD vape oil effects to take place, isn’t it? Yep, this time you’re right. CBD oil vape juice (or in other forms) will have an effect on you, but in the best way possible. It kicks in as an awesome analgesic if you’re in pain, it will relax you if you’re stressed and it will calm you if you’re feeling nauseous. As opposed to THC, you won’t experience paranoia, nervousness or any of the occasional effects you’ll get from traditional marijuana smoking. By now, it all seems too good to be true. No matter how you slice it, the positive effects of CBD greatly outweigh any CBD side effects you may never end up experiencing. Nonetheless, it’s our duty to present the big picture. We’re glad to report that potential CBD effects are common, such as having a dry mouth or low blood pressure, or feeling drowsy or light-headed. Those with Parkinson’s disease should avoid CBD, as some clinical studies conclude that CBD might aggravate muscle movement. In a study published in Dialogues in clinical neuroscience, doctors Natalya M. Kogan and Raphael Mechoulam wrap up their observations noting: “In view of the very low toxicity and the generally benign side effects of this group of compounds, neglecting or denying their clinical potential is unacceptable. 1” We couldn’t agree more. Another one of the questions that concerns many is the possibility of cannabis oil or hemp oil showing up on a drug test. You can rest assured that pure CBD will not make you flunk one of these tests. Still, any bit of THC content may end up on your results, so be careful which variety you consume. Now that we know it’s safe to use, what are some of the common CBD hemp oil uses or benefits of CBD oil? 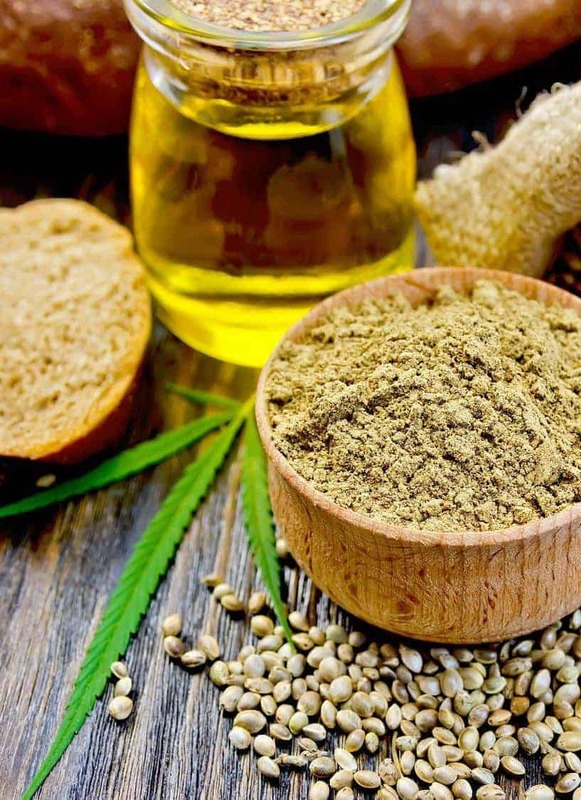 We have to admit that a full hemp oil benefits list would mostly likely result in writing a book, so we’ll just touch on some of the most sought-after applications. You’ve probably heard of cannabis oil for pain, CBD oil for anxiety or even CBD oil cancer benefits. No matter how far-fetched they may seem, they’re all wonderfully true. In fact, numerous studies based on clinical trials all point to the effectiveness of organic CBD oil. For instance, one study about cannabis oil for cancer states “cannabinoids could have direct antitumour activity, possibly most impressive in central nervous system malignancies” and that “Oncologists could find cannabis and cannabinoids to be effective tools in their care of patients living with and beyond cancer2”. Lucky for us, cannabis oil uses extend to our four-legged friends as well. No matter if your pup or kitty is the case, you can give them CBD for aggression, arthritis, digestive problems or even as post-surgery treatment. Even more so, it is reported that CBD tincture can speed the recovery process for ripped ligaments, sprains and even broken bones in your furry companion. At this point, you’re probably wondering what the best CBD oil method is. To each his own, but vaping CBD oil is definitely one of the most popular ways. It is said that using CBD vape juice (CBD E liquid) is the quickest way for it to take effect. Some aren’t comfortable with this option, so they opt for CBD pills, CBD extract or CBD drops for oral consumption. If you want a cool treat, you can even indulge in CBD gummies. Actually, CBD gummy bears are gaining widespread love more than ever these days. If you’re aiming to treat a skin condition, you may be better off with a CBD lotion. People also use CBD cream topically for pain relief, but you can get its analgesic benefits better with CBD oil capsules. For treating a larger part of your skin, sit back, relax and enjoy a tub with a CBD bath bomb. The huge variety of options for taking CBD makes us all the more fond of this breakthrough alternative treatment. 1 Natalya M. Kogan, M. Natalya, Mechoulam, Raphael, “Cannabinoids in health and disease”, Dialogues in clinical neuroscience, pp. 413-430, 2007. 2 Abrams, D.I., “Integrating cannabis into clinical cancer care”, Current Oncology, 2016.